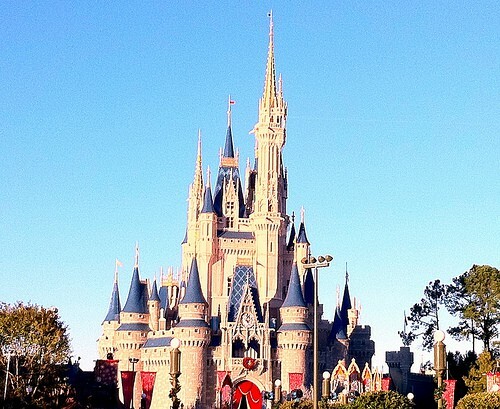 Are you wondering which of the Walt Disney World Hotels you should choose? There are many reasons to stay in a Disney World resort but actually finding which one is the best for your family vacation can be a difficult process. So here is a guide and quick overview to help you choose between the resorts and hotels which Walt Disney World offers. If you are looking for the best locations and the largest, most luxurious rooms then the place to start is the Disney World Deluxe hotels. There are 8 different resorts to choose from, and each has their own very distinctive theme and character. This has to be one of the most unique hotels in North America. How many hotels give you the chance to see a giraffe from your balcony? 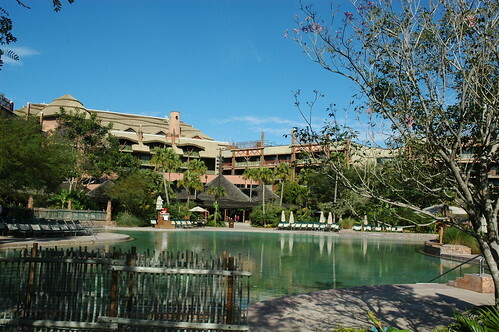 This deluxe Disney hotel is set in a 40 acre savannah where over 200 species of animals and birds roam freely. There are 1,293 guest rooms most of which are 344 square feet in size. The savannah view rooms are of course the ones which are the most sought after. The one downside of this amazing hotel is it’s location. It is located right next to Disney’s Animal Kingdom so is on the edge of Disney property and therefore the least convenient for the other parks and attractions. However it is an amazing hotel with excellent facilities and of course those very unique views. This is an excellent choice if you want to be within walking distance of Disney’s Epcot theme park and The Boardwalk restaurants and entertainment. It is also well placed for boat and bus access to the other Disney parks. This friendly upscale resort is designed to be reminiscent of a turn of the century New England style resort. The standard rooms are a generous 380 square feet and sleep up to 5 guests. Disney’s Beach Club Resort also has one of the very best swimming pools on Disney property, Stormalong Bay. Here is a guide to the Disney Beach Club hotel. The Disney Boardwalk Inn is very conveniently located within walking distance of Epcot and just a boat ride away from Disney Hollywood Studios. The setting for the Boardwalk Inn is alongside the beautiful Crescent Lake. The theme for this 378 room hotel is the elegant 1940s Atlantic City era. 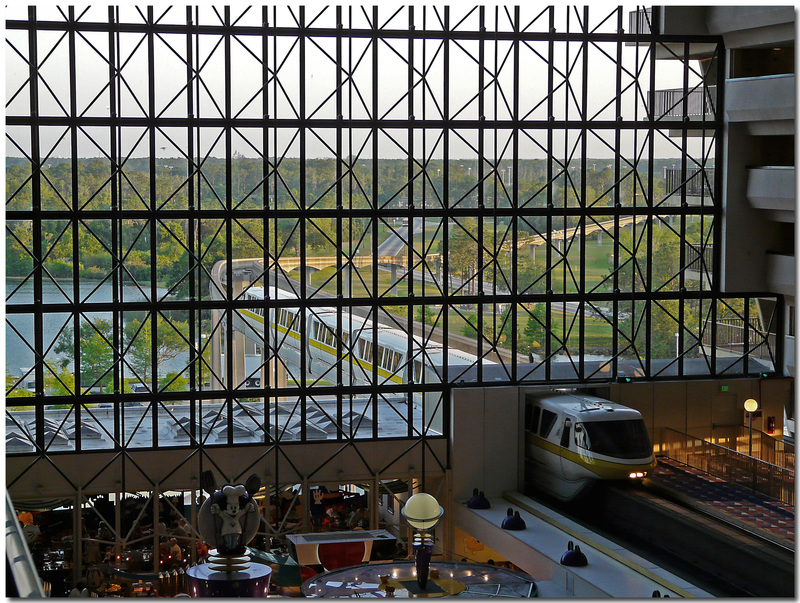 The theme of Disney’s Contemporary Resort is a modern future and the exterior design is certainly very different – a monorail runs through this futuristic A Frame design. The Contemporary Resort is one of the Disney Monorail Hotels so very conveniently placed for access to Magic Kingdom. You can even walk to Magic Kingdom from the hotel. The Contemporary has recently been renovated so all of the 394 square feet rooms are newly decorated in a modern style. Each room will sleep up to 5 guests and also accommodate a child under 3 in a crib. Some guests feel that the resort is not quite ‘Disney’ enough as the furnishings are contemporary with few hints of the Mouse. But if you are looking for a great location with good facilities then this is an excellent choice. For more information you can check out this Disney Contemporary Resort guide. This is Disney’s flagship premier resort hotel so if you are looking for the most luxurious (and yes the most expensive) Disney resort then the Grand Floridian is the one for you. Themed for a Victorian grand sea side resort hotel the Grand Floridian is located on the shores of the Seven Seas Lagoon. Many of the rooms have views of the Magic Kingdom Cinderella Castle. The Grand Floridian Resort and Spa has 867 rooms including 25 suites. The average standard room size is 440 square feet so a very generous size. It is another Disney monorail hotel so access to Magic Kingdom is quick and easy. You can also travel by monorail to Epcot, or take a bus to Disney Hollywood Studios and Disney Animal Kingdom. Even though it is a luxury resort it is very much a family hotel and everyone will feel welcome. The Polynesian Resort is also located on the monorail loop at the side of Seven Seas Lagoon so it offers very easy access to Magic Kingdom. This luxury Disney hotel not only has a great location but also offers some of the largest hotel rooms in Disney World. The theme is a relaxed South Seas location with a welcoming tropical atmosphere. The Polynesian offers excellent restaurants and also hosts the very popular Polynesian Luau Dinner Show. If you want to feel as though you have escaped completely to a luxurious National Park Lodge then the Wilderness Resort is the place for you. It has an excellent location just a boat ride away from Magic Kingdom but once you step through it’s doors you feel as though you have entered a land a million miles away from the hustle and bustle of the Disney parks. The Wilderness Lodge has 728 rooms which at 340 square feet in size are some of the smallest of the Walt Disney World hotels deluxe resorts. But they are beautifully furnished. Disney Wilderness Lodge has a wonderfully themed swimming pool and a good choice of restaurants including the very popular Artist’s Point. 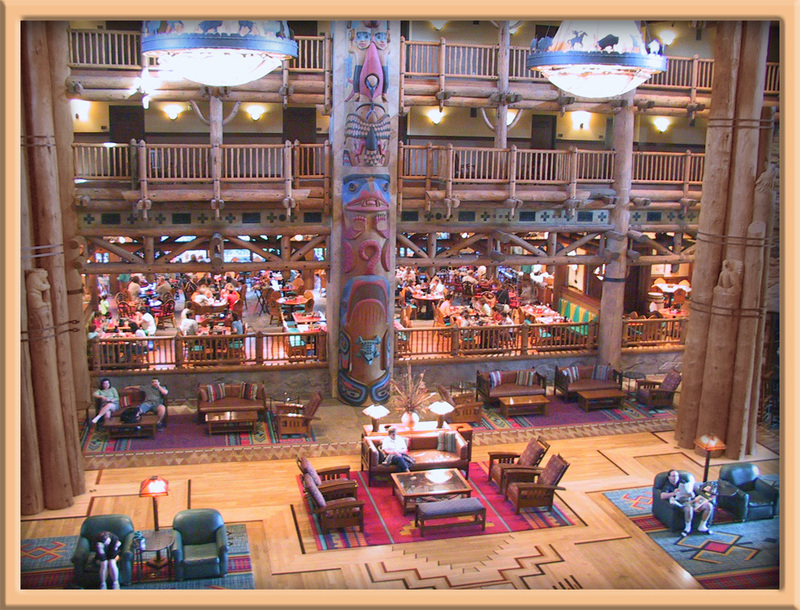 For more details on this excellent deluxe resort here is a guide to Walt Disney World Wilderness Lodge Resort. The Disney Yacht Club is the sister hotel to the Disney Beach Club Hotel and they share the very popular Stormalong Bay resort pool. The Yacht Club is very conveniently located within walking distance of Epcot. You can also take the boat to Disney Hollywood Studios or the bus to Magic Kingdom and Disney’s Animal Kingdom park. The theme is of course a nautical one with a relaxed East Coast sea side theme running through the resort. The Yacht Club has 630 rooms and the standard rooms are around 380 square feet, so a good size. Each room sleeps up to 5 guests. The attraction of the Disney Yacht Club Resort is of course the location, the luxurious rooms, and Stormalong Bay swimming pool. You are within very easy reach of lots of restaurants including of course the Epcot World Showcase offerings. If you are on a more moderate budget then the Walt Disney World Moderate hotels can be an excellent choice. Rooms are smaller than the deluxe resorts, and their locations, whilst still convenient, are not as amazingly ideal as the luxury hotels. It can be a great choice for a family to experience all the advantages of a good Disney World hotel. 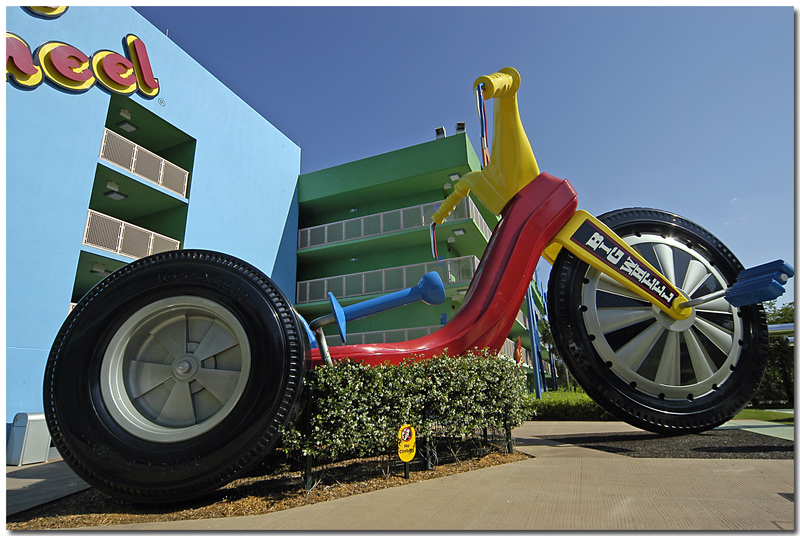 Colorful and fun are two words which best describe Disney’s Caribbean Beach Hotel. It is a large resort with 2112 rooms on a 200 acre site. The rooms at Disney’s Caribbean Beach are 314 square feet. Most rooms have 2 full size beds although some have a King. The resort is very large so be aware that you may have to walk a long way from your room to the central Old Port Royale where the restaurants and lobby is located. All rooms are motel style with outdoor corridors. The swimming pools are a lot of fun and there are plenty to choose from as each of the buildings has it’s own pool. The Caribbean Beach Hotel does have it’s own full service restaurant and a food court. For more details check out our Disney Caribbean Beach guide. Disney’s Coronado Springs Resort is the newest of the moderate resorts and it’s basic design was based on the Caribbean Beach. The Coronado Springs has 1,921 rooms located in three themed beautifully landscaped areas set around a 15 acre lake Lago Dorado. The theme is Spanish Colonial Mexico. Lots of bright colors, and even a Mayan ruin themed pool. Just like Caribbean Beach the resort is very large and you may be located a long way from El Centro with the restaurants and shops. There are 1917 rooms at the Disney Coronado Springs. All were renovated in 2009 and most are 314 square feet and have 2 Queen beds. The location is good but perhaps not quite as good as Caribbean Beach as it is more towards the edge of Disney property closer to Disney Animal Kingdom. Really though there is not much difference and you should pick the theme which you prefer. This moderate Disney resort takes it’s inspiration and theme from New Orleans French Quarter. 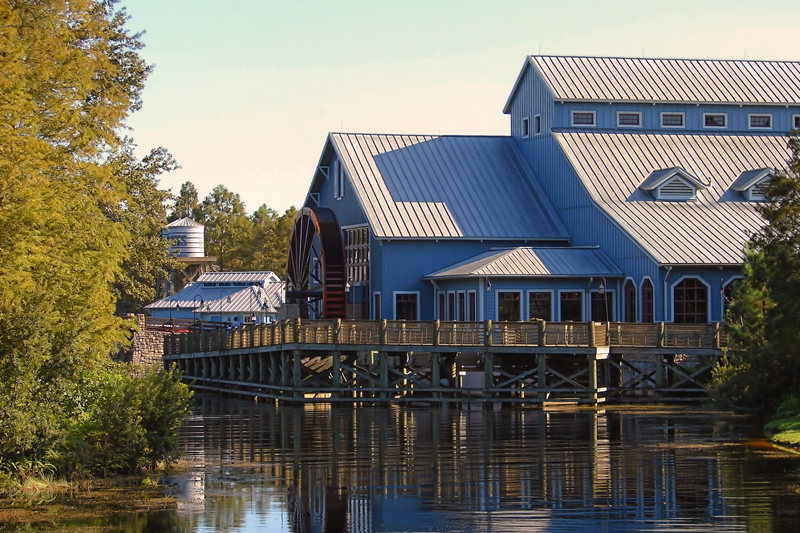 The location of Port Orleans is close to Downtown Disney, so convenient for all the parks and attractions. The resort has just over 1000 rooms which are 314 square feet. The resort has motel style rooms with outdoor corridors. Port Orleans is very nicely landscaped and has a great choice of swimming pools. The one downside is that there are no full service restaurants, only a food court. This is the sister hotel to Port Orleans French Quarter. It is a larger resort with just over 2000 rooms. The theme is the Mississippi Old South. Again the rooms are motel style and most have 2 double beds. The Disney Port Orleans Riverside does have a full service restaurant so for some this gives it the edge of convenience over the French Quarter. If you are looking for a very reasonably priced way to stay on Disney property then the value resorts are a great way to go. Expect a good standard motel type room with over the top Disney theming and you won’t be disappointed! At the moment there are 4 Disney Value Resorts with a 5th planned for 2012 (Disney’s Art of Animation Resort). The basic idea of all the value resorts is the same, but of course the theme of each is very different. The theme is pop culture from the 50s to the 90s so here you will find giant Lady and the Tramp characters, a giant Rubik Cube and a huge Mickey Mouse telephone. At 260 square feet the rooms are comfortable but can be a tight fit for a larger family. There is a food court area for a quick snack, but you will need to travel for full service dining. The swimming pools are a lot of fun but can of course get very crowded and as this a resort which attracts families with young children, rather loud! Larger than life and a whole lot of fun is the best way to describe Disney All Star Movie Resort. With a 35 foot tall Buzz Lightyear and a 40 foot tall Dalmation, this hotel is definitely designed to be fun! The rooms are the smallest of the Disney World hotel value resorts at just 260 square feet so don’t expect a whole lot of space. The almost 2000 rooms are in one of 5 areas: 101 Dalmations, Fantasia, Toy Story, Herbie:The Love Bug and The Mighty Ducks. As with all the Disney Value Resorts there is no full service dining, just a food court. Not surprisingly the theme for this Disney hotel is music. The design is basically the same as All Star Movies but the buildings are themed on Calypso, Jazz Inn, Rock Inn, Country Fair, and the Broadway Hotel. A great feature of Disney’s All Star Music Resort is that it has some family suites available. These are a great option for larger budget conscious families as they offer 520 square feet of space including a kitchenette which will sleep up to 6 guests. The theme is of course sports so you will find giant tennis racquets, footballs and surf board and the like at this motel style Disney resort. There are almost 2000 rooms each sleeping up to 4 in a 260 square foot room. Again you will not find full service dining, just a food court. As with all of the value resorts if you expect a good motel style room, located very conveniently for all the parks with the advantages of the special Disney Magic then you will not be disappointed. Luxury it is not, but they are most definitely good value. This is sometimes an option which is overlooked but you can stay on a camp site in a tent or recreational vehicle, or even rent your own log cabin on the Walt Disney World resort. Offering 748 camp sites, RV hook ups and 409 log cabins Disney’s Fort Wilderness Resort is spread over 740 acres of mainly pine forest, within easy reach of all the magic of Disney World. As you will see there is a lot of choice of Walt Disney World Hotels. There are also a number of Disney Deluxe Villa Resorts if you are looking for larger accommodation. Each Disney World Hotel has it’s own character, and of course price level. Have fun choosing!